Dublin City Council are pressing ahead with plans for a full redevelopment of Dalymount Park into an ultra-modern, all seater stadium, much to the delight of anchor tenants Bohemians, Shelbourne and the FAI. 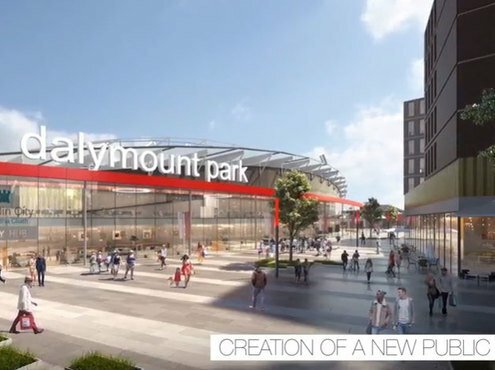 The proposed redevelopment of the historical stadium will transform Dalymount into a state-of-the-art all-seated, Uefa Category 3 stadium with a capacity of around 6,000. 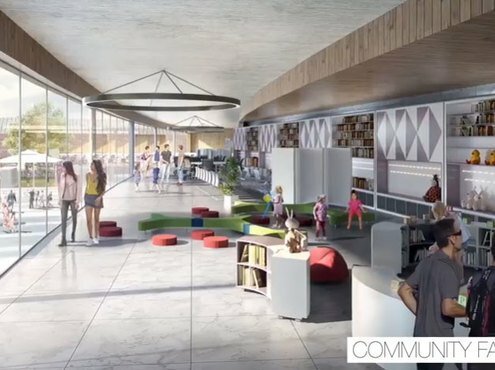 The redeveloped stadium will feature a library, flexible community space and number of meeting rooms. One of the most progressive features of the proposal is the creation of a public plaza, this would be of great benefit for the Phibsboro area. "This project has been in the pipeline for a long time, and we are delighted to be working with DCC to give north Dublin a stadium worthy of the area," said FAI CEO John Delaney. "The fact the Bohemians and Shelbourne will be the anchor tenants of the stadium, will add to the storied history of Dalymount Park. "Phibsborough has hosted some historic matches through the decades, and I'm delighted we will see plenty more matches there for decades to come." The redevelopment of Dalymount Park is one of two developments said to be the association's top priorities, with the other being the establishment of the Centre of Excellence at Glanmire in Cork. The Glanmire development was announced back in 2016, could cost as much as €11 million and will also serve as a training facility for Cork City. "Bohemian Football Club sold Dalymount Park to Dublin City Council in November 2015, a decision which received unanimous support from city councillors and was fully endorsed by the members of the Bohemian Football Club. "Bohemians was, and remains thankful and grateful to John Delaney and his officials at the FAI, DCC, local current and past TDs and councillors, local residents groups, and the huge support of our members which enabled this sale to take place. "Since 2015 we have been part of a new process, which has made steady progress on realising the full redevelopment of Dalymount Park. This has included participation in a steering group with representatives of all the major stakeholders, meetings with local residents groups, and consultations with Wrenbridge Sport. "The culmination of this stage of the process has been the release of this feasibility report by Wrenbridge Sport, which was commissioned by DCC. "As joint tenants in this exciting project we are delighted to see the progress being made and look forward very much to playing our football in a modern purpose-built stadium which will provide facilities of the highest order for both our supporters and our players." said Shelbourne FC Chairman Joe Casey. Original plans for the redevelopment, which was to see a 10,000 capacity stadium were scrapped after seeing projected costs escalate massively, this newly revised proposal is not expected to exceed budget. FAI chief is confident that both clubs will be playing football in a brand new Dalymount Park by 2022.